I am going to be upfront in this review, buy this book. The Inner Game of Tennis is something to own for years to come. On the surface level, this is a book about improving your tennis skills. The truth is The Inner Game of Tennis gives advice and motivation on so much more, whether it's dealing with anxiety or indecisiveness, or trusting in one's self and learning to not self-defeat through inner monologue. I don't know a subject this does not touch on through the verbiage of tennis playing. It's difficult to describe in a manner that will entice readers to pick up a copy. I've already had people I know brush it aside, but this truly is must own material. In a time where I buy digital for most of my collection, The Inner Game of Tennis is worth owning physical. 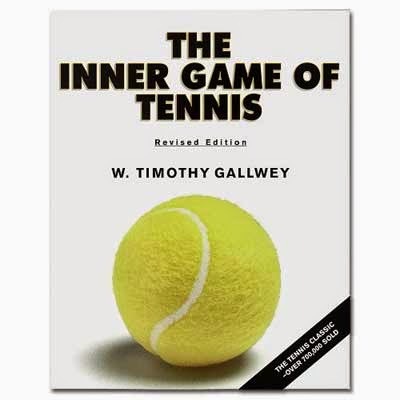 And like this review, The Inner Game of Tennis respects the reader and doesn't waste time getting to each lesson. There is a little in terms of redundant material. This is a must own book, always resting on the desk to be picked up at any time when needed.